Navajo Nation Council Delegate Tuchoney Slim, Jr., says the National Park Service needs to reach out to local communities. Slim represents several Navajo Chapters close to Page, including LeChee, Bodaway/Gap and Kaibeto. 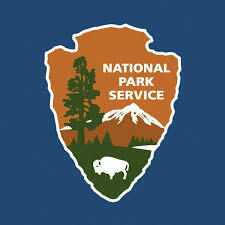 Slim and chapter representatives met with NPS officials last week regarding concerns of activities within the Glen Canyon National Recreational Area, Rainbow Bridge National Monument and Antelope Point. The communities have a right to be involved based on agreements that were approved and accepted by the Navajo Nation and the National Park Service, Slim added. In 1970, the Secretary of the Interior approved a quadrilateral agreement between the Navajo Nation, National Park Service, Bureau of Indian Affairs and the Bureau of Reclamation, which provided certain rights and responsibilities between the parities relating to the development, maintenance and management of Antelope Point.